BIRMINGHAM, AL (WBRC) - Nick Saban is a softy. There, I said it. Of course, many of his assistant coaches and others who work for him may strongly disagree, but the greatest coach in college football history has a soft side and a kind heart- just keep him away from Finebaum, media people who ask dumb questions and people who question his football knowledge. So from where am I reminded that the Alabama football coach can be well, human? I offer up last week's episode on Lake Tuscaloosa, where a video of the coach and several of his players went viral. The coach was driving his brand new boat while wearing a broad grin, when suddenly the boat stopped working. Bama's Terrell Lewis shot video of his teammates wondering if their coach had run out of gas. 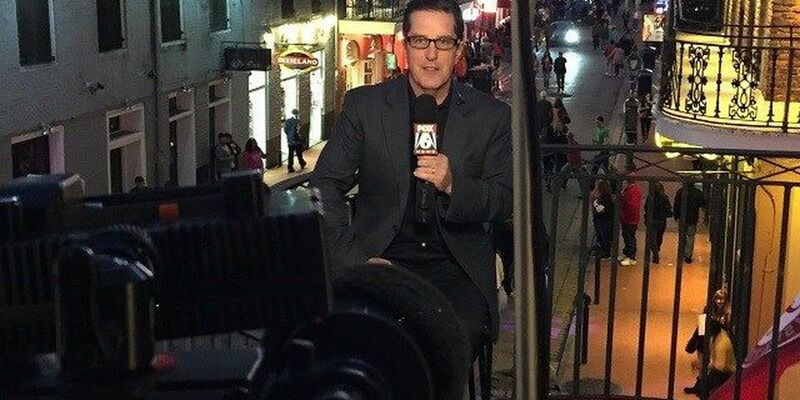 The video was obtained by TMZ, and you know what happened when the video was obtained by TMZ: The Alabama coach went viral alongside other TMZ favorites like Kim Kardashian and Taylor Swift. My take? 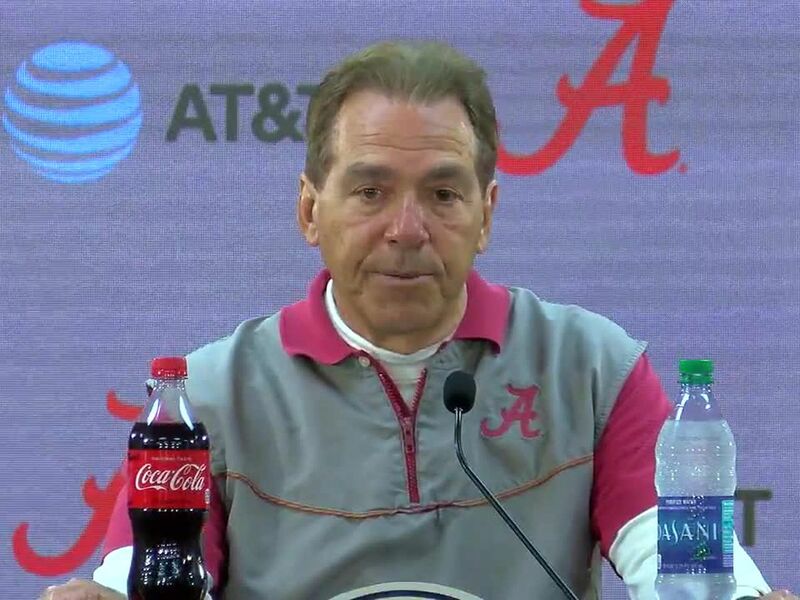 It was great PR for a great coach: The video showed the world a side of Coach Saban it seldom sees: The coach, with his sheepish grin, acknowledging that the joke was on him, playfully enjoying himself in the moment. Oh, and the interesting part of all of this? It ends up that the boat was NOT out of gas but rather had a broken fuel pump. Coach Saban tells Chris Lowe of ESPN, "Brand spanking new, and it's the first time I'd been out in it. So when it stalled, I'm thinking, 'Oh my gosh. I bought a new boat, and they didn't put gas in it.' I didn't even think about it. You just assume that it's got gas in it when you get a new car or a new boat. My heart sunk for a minute because I had all those kids out there. I had two of them on tubes when it happened. We had fun, but I sure heard about it. We didn't run out of gas. But when the fuel pump runs out, that's exactly what it feels like. I've got all these kids on the boat, and I say, 'We must have run out of gas,' and then look at the gas gauge and it's full. So I call for a mechanic, who brings another boat, and he resets the thing or whatever. I told him, 'You drive that boat. I'm driving your boat.'" Saban said one of the funniest responses he received came from a student at the Naval Academy, as he told Low, "He sent me a picture of a big-a** warship and said, 'Hey Coach, we got you, man. We'll always come pick you up.'" As the video went viral, it showed a person who is thought of as off-the-wall intense to instead being, well, like one of us. And it's not the first time we've seen the Bama coach turn to mush. When he's around his wife Terry, you know who's the boss (and it's not Nick). When you talk with him about his granddaughter Amelie the coach's eyes shine, and when you mention the Eagles or Joe Walsh or the Rolling Stones, he lights up. The electric slide? The coach falls for it every time. Did I mention the sport of golf? While Saban's job is coaching football, his passion is playing 18 holes- and while he brings competitiveness to the links, he tells me he can actually be on the golf course for 4-5 hours and NOT think of football. Oh, and Coach Saban's other love? Cars. His father owned a filling station in West Virginia, and Saban has often told me that if it wasn't for a coach named Don James who encouraged him to coach, he would likely have gone into the automotive business (which he finally has in his 60's, as he owns three Mercedes dealerships). I don't know Nick Saban very well- I suppose that you can say we have a small-talk relationship. The coach has been at my house several times along with Finebaum as they appeared on "Good Day Alabama". I've visited him in his office for a one-on-one only once in his 11 years at the Bama helm, and I've talked with him one-on-one out in public many times. My rule of thumb? I try not to talk football with the coach. He has more football knowledge in his pinky finger than I have in my brain- I figure he doesn't need me to ask him what he perceives to be silly questions. What I DO talk with him about is his Nick's Kids campaign, golf, the lake house, cars, rock concerts, grandkids, the wife, anything outside of the sport that has brought him the good life. And you know something? In every one of our meetings, the coach has been patient, kind and cooperative. He hasn't gone off on me yet, and for that, I'm very happy. The moral of the story? Get a man who is intense in the football arena away from his work and I will show you a man that is more human than many people think- last week's boat video was a perfect example. Like I said, Nick Saban is a softy. I'm glad that the TMZ video reminded the world of just that. As for the boat? I'm glad the fuel pump is finally working.